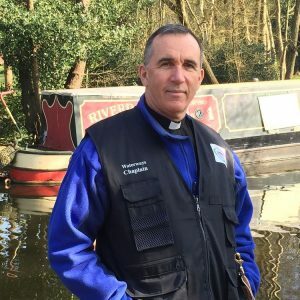 I am a Church of England priest appointment to lead churches in Plymouth, Birmingham and Surrey. At the same time I was in partnership with local councils, establishing resources like debt counseling and ‘Street Angels’. Prior to the priesthood I was a regular army officer but now I am a part time Chaplain at the Royal Military Academy Sandhurst as well as a Waterways Chaplain. In my spare time I enjoy swimming, working out at the gym and horse riding – with more enthusiasm than skill!